I used my favorite CSS set, "taglines: critters," and the PTI take 3 die (which I turned into a take 6....), as well as the hero arts houndstooth background. Hope you enjoy a fantastic labour day weekend! 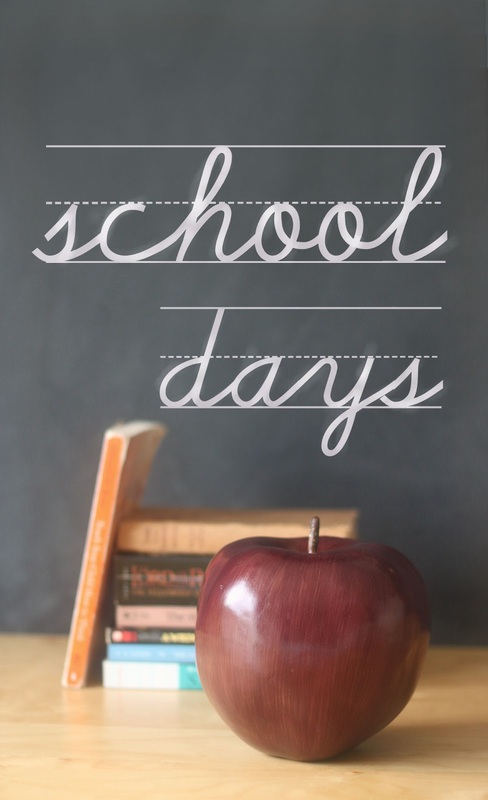 crafty break: 1st day of school. This little missy is treating it like she's been around the block a year or two... she packed her backpack, helped to put her lunch together, and chose her outfit the night before. There was a test run in the clothes, and some preening in front of the bathroom mirror. She was edible. Sofia has also been full of advice for Thomas, who will be (for the first time) spending all of his weekdays out of the house: where to sit on the bus, how to ask for a bathroom break in french, and what to do to make new friends. I've so loved listening to their little conversations in the last few weeks. Her confidence has translated into reassurance and encouragement for Thomas, and for me too. 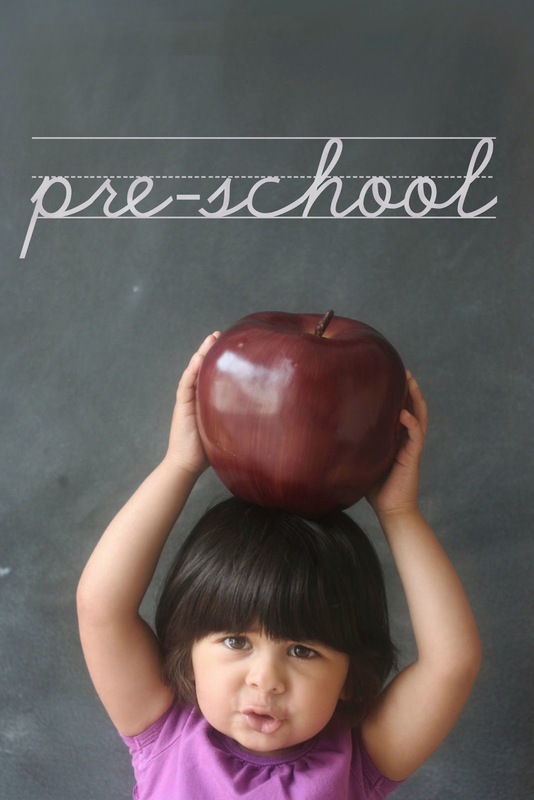 Even Maia will be starting preschool a few mornings a week. 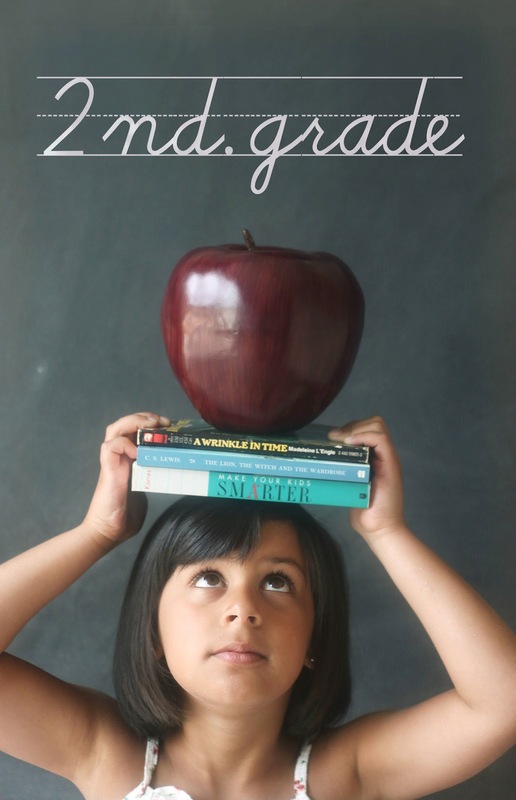 All I can think to say is to offer a fat "good luck" to her teacher. ha ha. She is such a funny kid, and full of affection when you get to know her, but she doesn't make it easy. As soon as there is mention of "school," she starts yelling "I don't want to go school!" I think she's yelling it in this picture, actually. You can see the "sch" syllable coming out of that little mouth! My mommy heart is excited and in knots all at once. I was recently asked to create decor for a "Tiffany's-inspired baby shower...."
Obviously, immediately, I thought of those perfect boxes with the white bows... and that lettering! And here's your shopping guide: I cut the bows with this die. I used this frame stamp and matching die. I used this border, cut apart, for the "bling." I think I'm going through a slight crafty drought, but thought I would pop in to share some very exciting news: I won the big Lawn Fawn August contest! Saturday creations: just a note. I'm back with my last Precious Remembrance: Saturday Creations post of the month. I hope you've enjoyed them! I started out with a vintage cream card-base, and used a doily die to cut into some basic grey patterned paper. I positioned the paper onto my die so that the hot-air-balloon would be at the top. Then, I created a flurry of hearts floating down towards my sentiment. Can you see on the folded edges that I stamped the backs of the hearts too? 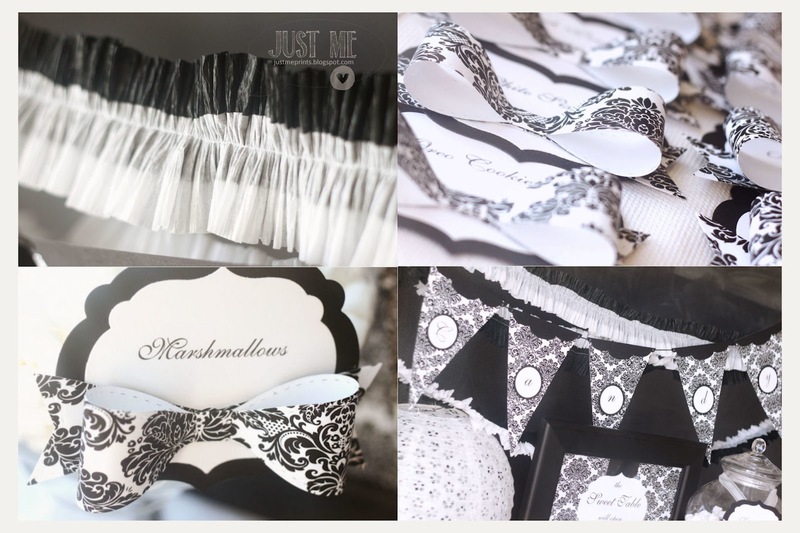 black & white damask decorations. I've been tinkering a little with the blog design... it will be a work in progress, but I hope you like what you see so far. The tabs at the top will help everything look a little cleaner on the main page, and will (eventually, when I sort through everything) help you to find specific posts faster... and what do you think of the new blog header? Being so computer-challenged, I was quite proud of myself :) I even managed to create a matching watermark for my pictures! 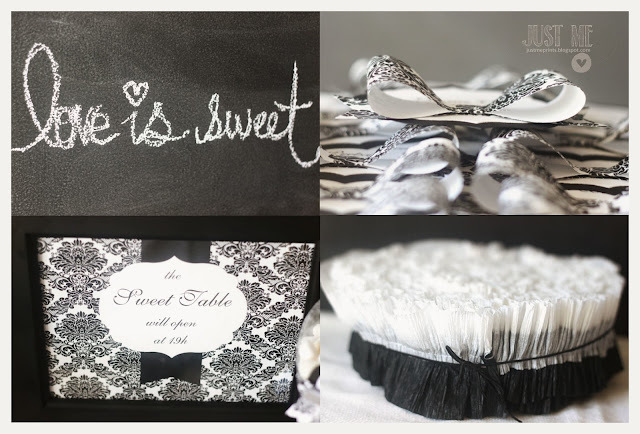 A client of mine is getting married next weekend, and asked me to create decorations for her reception's sweet table. 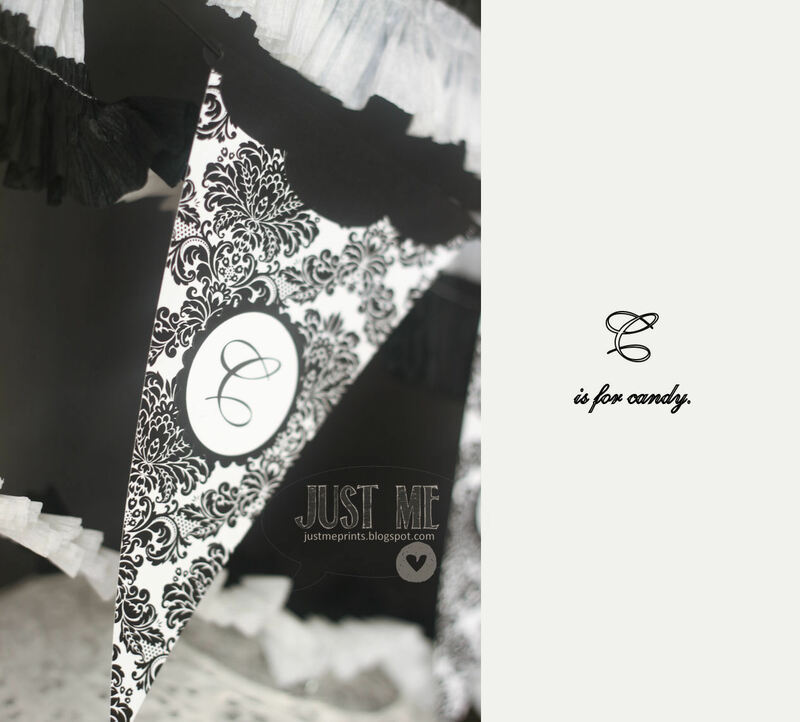 In keeping with her black & white damask theme, I created banners, candy labels, a table sign, and a ruffled banner. crafty touches for a birthday gift. When we got home, we set out to make his gift-box a little more special. I set the kids loose on sheets of cardstock, with a variety of circle punches. I love all the badly-punched shapes, hee hee. 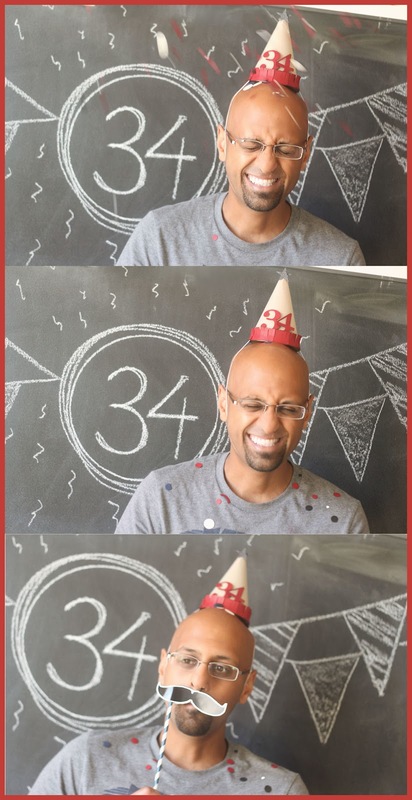 Today is my (own private) love machine's 34th birthday! stamps: hero arts happy background, paper smooches "squeaky clean," pti "fabulous frames"
I stamped them, colored in the flowers and the white space around them, then stamped the subtle background stamp over top. I didn't want to hide very much of the paper, so I die-cut a favor flag and stamped the flag frame and lawn fawn sentiment into the opening. A strip of washi-tape, slung over the spine of the card, finished it all off. Hope you decide to play along! I cut my own sunburst pattern out of different patterned papers, and stitched each one on the machine. If you didn't believe me that I'm no sewing expert, go ahead and click on the picture to take a closer look. Oh yeah, there are the not-so-cute-but-pretend-it's-just-the-homespun-look edges. Hee. I stamped the circle frame from one of the "Tag its" sets, and stitched around the inside of that frame with yellow embroidery thread. To finish off the card, I die-cut 5 butterflies (from the "love lives here" die collection) and stitched them together in the same yellow thread. The "smile" sentiment is from Precious Remembrance. The 10 minute craft dash! The very sweet Paulina asked if I would like to be part of a new challenge: the 10 minute craft dash. My first thought was: does she know how long it takes me to make a card? I am a slooooooooow crafter. When I write things like: this only took me 20 minutes, it's because I have surprised myself with my quickness :) But 10 minutes to make a card is no joke. I felt like I was on an episode of craft wars... but without Tori Spelling in my room, thank goodness. minute 1: stamp koala image and the sentiment (from paper smooches) in versafine onyx black ink onto white cardstock. minutes 3, 4, 5, 6, 7: with all the inks spread out, watercolor. No time for shading! The watercolor brush is so quick - I keep a paper towel to the side, and simply brush the color away when I want to move on to the next one. 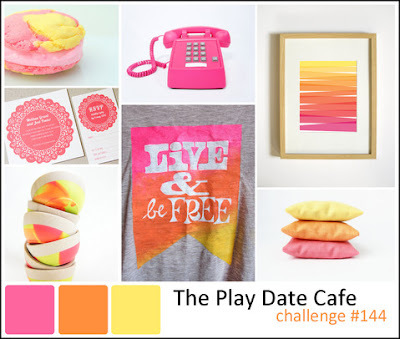 minute 8: grab a yellow water-color crayon, and, using the same aqua-painter, flick splatters onto the cardstock. minute 9: emboss white cardstock with PTI's linen & canvas impression plate. Never mind that the cardstock is still a bit wet from the painting - it actually helps create a deeper impression. minute 10: use a liquid glue to secure the koala mat to the card-base. Press down everywhere, since the card-stock is still a bit warped and wet (hee hee). When everything is adhered, it looks just perfect. 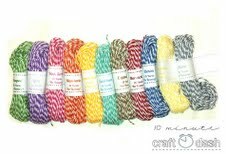 minute 11: make a bonus, last minute decision to tie on some white yarn that was left out from a previous project. 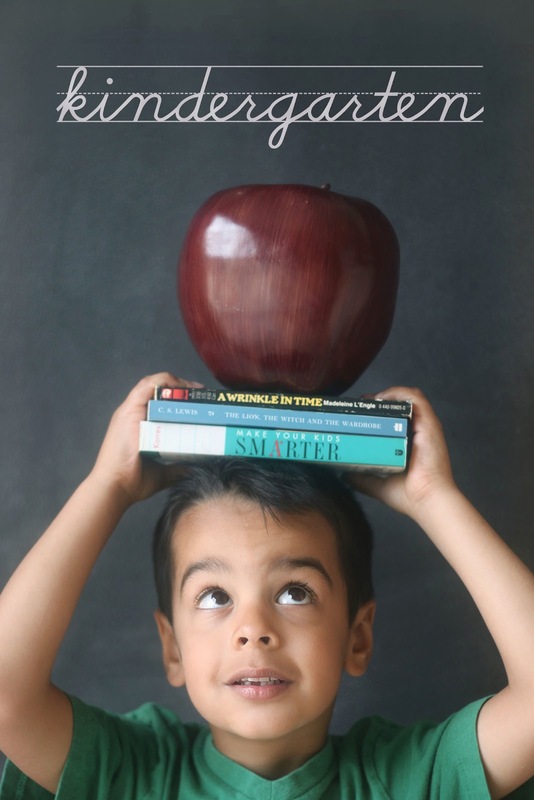 Check out Paulina's blog for more details and a complete list of participants! 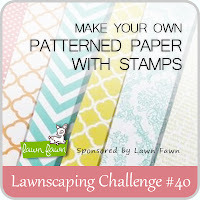 Clear and Simple Stamps: white out challenge. I scored, I die-cut, I embossed... and I conquered. Oh yeah. I used my scoreboard to create the horizontal lines on the top half of my card. 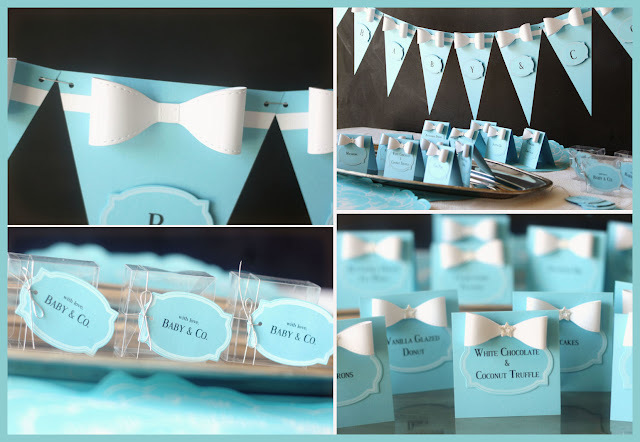 Then, I cut 2 differently-sized favor flags. On the wider one, I adhered a strip of score-tape onto each side and then gussied it up with glitter. Even an all-white card can use some bling, am I right? On the thinner flag, I white-heat-embossed a pattern from background basics 2 for another layer of shine. A few buttons (one tucked in under the layered flags and one over) added even more clustered interest to the top of the card. The bottom half of the card got the die-cut treatment. Sticking the individual letters (from the uppercase alphabet dies) onto a strip of barely tacky painter's tape ensured that the letters were evenly spaced both times. 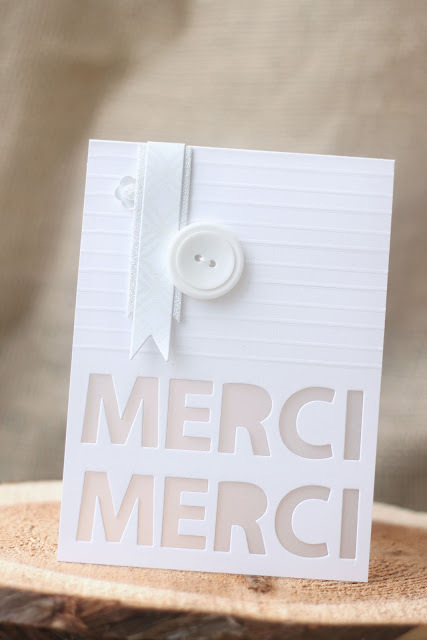 After running my fancy french thank yous through the die-cutter, I added a piece of vellum to the inside of the card, giving a sleek, translucent effect. I'm back with another Saturday Creations post, this time, highlighting the Precious Remembrance "calendar stamp set." 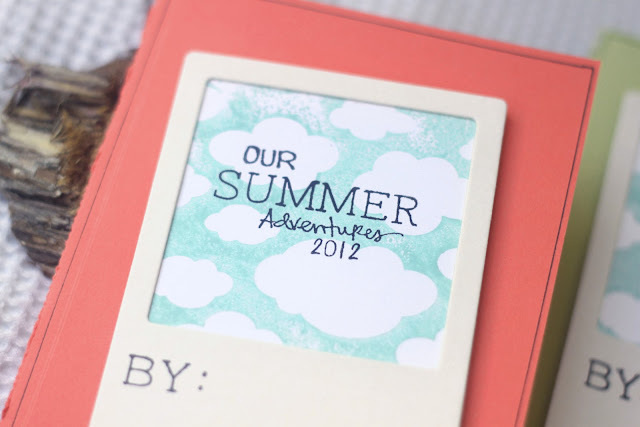 With the beginning of school in sight, I thought I'd create little journals for the kids to be able to look back at all the fun things we did together this summer. The construction of the journals is as simple as can be: a card-sized piece of cardstock, with computer papers stacked inside, and a sewn spine. On the cover, I used the hero arts "cloud background" and stamped "our" and "adventures 2012" from the Precious Remembrance set, and the rest using lawn fawn's "smitty's abcs" set. Inside, I stamped a few journaling lines for the kids to record their thoughts, and left plenty of white space for pictures. On the last page, I stamped out "the end" using Clear and Simple Stamps' "alpha duo" set. And the calendars, from the Precious Remembrance set, so the kids could highlight their special days. I hope you like my summer adventure journals! The kids had so much fun filling them out, and I loved seeing what stood out to them... like, who knew that pushing buttons in the hotel elevator was one of the highlights of Thomas' summer? HA. First up, the invitation. It features the new CSS set, Party Elements: Celebration. I stamped the invitation headings, and added the info by hand. Speaking of "by hand" - I drew the tents you see scattered throughout the party. Simple, simple, but effective if you don't have exactly what you're looking for in your stamp collection. The red banner is also from the new set, and the number 4 comes from Cake Decorating Too. I used the cupcake-wrapper-as grass again, and added some starry skies patterned paper. Finally, I created favor boxes for the guests to take "s'more" sweets home. I die-cut two party favor 3 boxes and stuck them together. Before adhering them, I cut a longer piece of cardstock and punched an oval handle at the top. Each box was filled with the fixings for homemade s'mores: cello bags filled with graham crackers and marshmallows, and a hershey's chocolate bar. 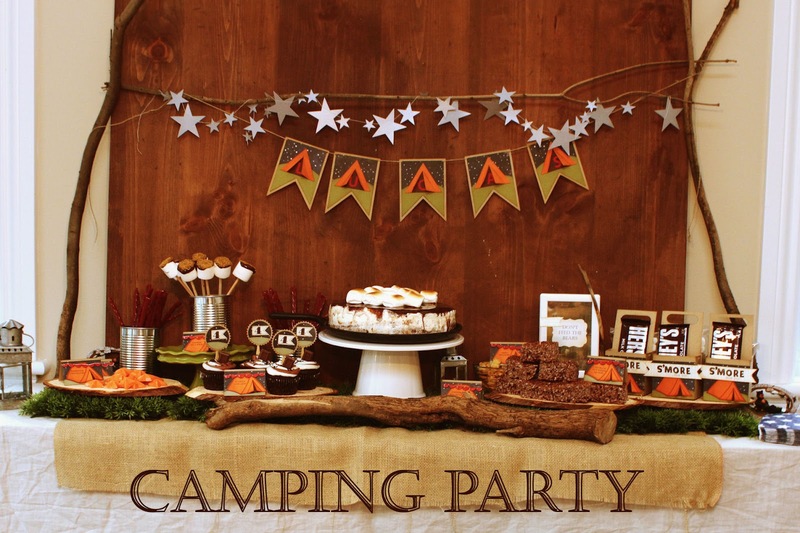 I hope you've enjoyed a peek at Lucas' camping party! The other designers have party ensembles of their own to show off, so be sure to check out the Clear and Simple Stamps blog for all the links.